Need a quick and meaningful Thanksgiving activity for your little pilgrims? This holiday printable activity is just right for you! 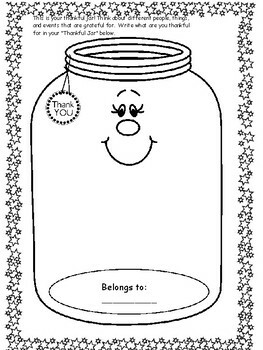 A Thankful Jar is such a fun exciting and easy way to help kids express all the things that they are grateful for, from event they had planned to the people the love sending time with. Why wait for the month of November to talk about Thanksgiving and what we are grateful. We can do this every month. You can go the extra mile and print this cute little worksheet out for the whole 12 months!